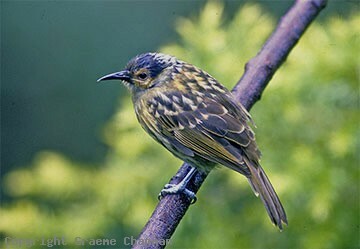 Macleays Honeyeater has a very limited distribution in the Wet Tropics of NE Qld between Cooktown and the Paluma Ra. near Townsville. 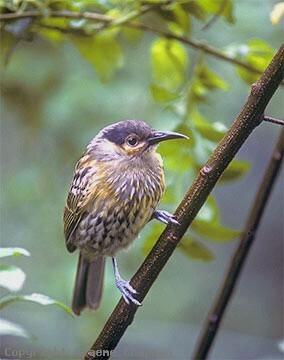 Once adult, they occupy permanent territories in pairs in or around the edges of rainforest - more abundant in the lowlands they do occur up to about 1000 m asl. 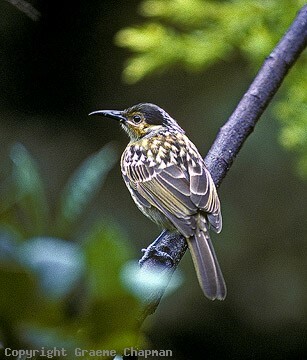 They are principally insectivores but do eat nectar and small fruit. 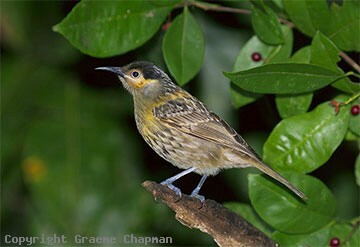 They are not known to form flocks but aggregations of 30 or so have been seen at rich sources of food.